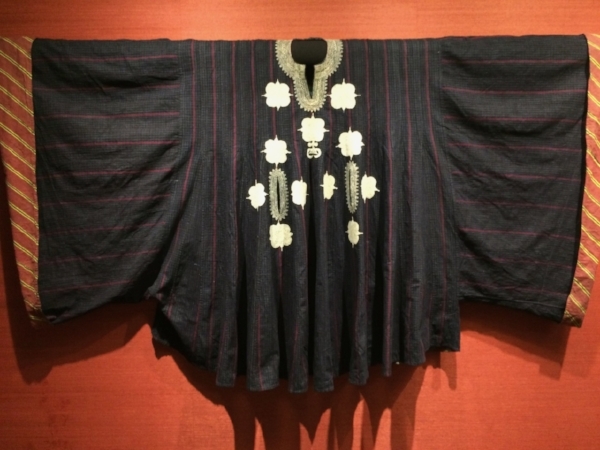 I was fortunate to catch a high quality exhibition of textiles in Seattle while Laverne was visiting - details in the textile blog. The array of cultures and techniques was impressive, and the quality of each piece impeccable. Below is a detail from the bodice of an embroidered Mexican dress. The floating animals filling in the blank spaces, and the random dog with collar, reminded me of a rug hooked by my Great Aunt Jean. I recently came into possession of this wonderful rug, which looks very Persian to me in its composition and designs - with the exception of a cartoonish black poodle among the stylized birds and geometric shapes. It makes perfect sense, for someone who owned a black poodle and worked as an artist for Hallmark cards. I find this rug brilliant, so I made sure it came home with me. Apologies for the overbright reds. There's my freeform textile association of the day: pet dogs in Mexican embroidery and American rug hooking! 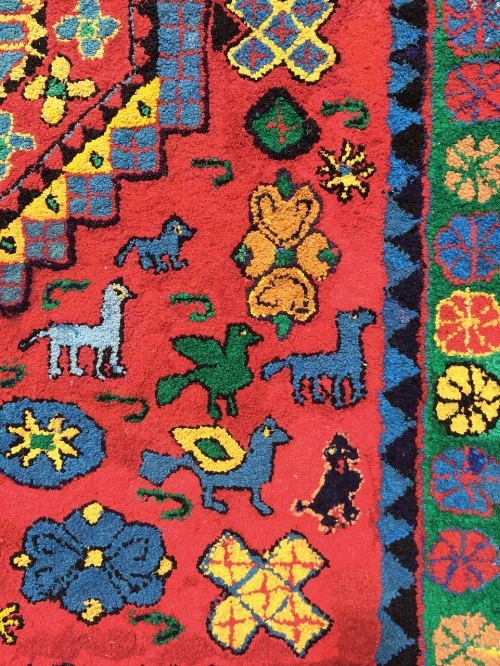 Detail of Aunt Jean's rug, showing black poodle.